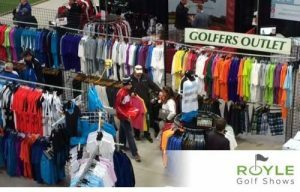 The annual Greater Madison Golf Show, as a part of the Royle Golf Shows, features numerous exhibitors and vendors from around the country, exciting activities, hourly door prizes, and contests. If you’re a golf lover looking to see the latest and greatest for the upcoming season, or you’re looking for an exciting family activity, be sure to visit us. Just a few of the prizes and activities include the Grand Prize All-Inclusive Golf Vacation for four to Breezy Point Resort and a $10,000 Long-Putt contest. The show will also feature a free GolfTEC Lesson Zone and golf merchandise that will be up to 70% off. All attendees will receive a free round of golf at Old Hickory Golf Club in Beaver Dam, WI.